The electrical energy from batteries powers not only the ignition system that turns the engine and moves electric vehicles but also powers almost every sensing feature of today’s automobiles. Electricity turns on the car headlights for night travel, rolls the windows up and down, senses numerous actions within the car to keep drivers aware and alert to their environment. Today’s autos come with many sensors – “door ajar”, “seatbelt not fastened”, “low tire pressure”, “engine rpm’s”, “obstacle proximity”, etc. Newer autonomous sensors can even alert the engine to slow down and stop if the driver is inattentive or incapacitated. 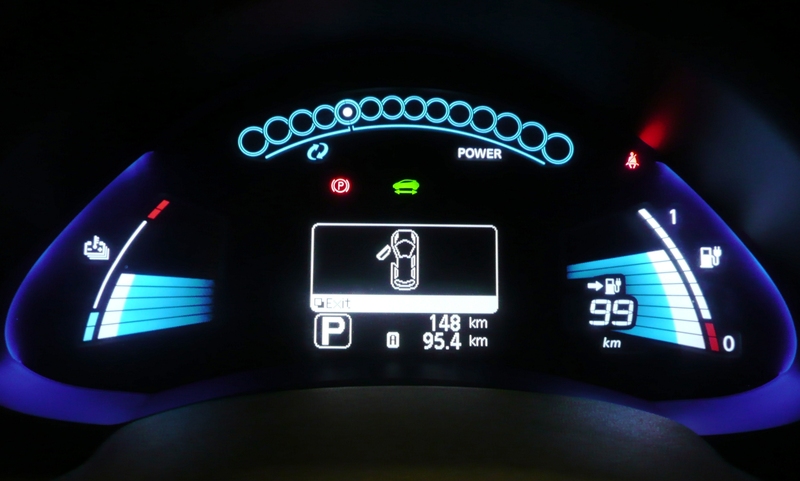 Each sensor requires just a little bit of energy from the car’s battery, but all those little bits add up; and, as the industry begins to focus more on electric vehicles, networked vehicles, and passenger infotainment features, the number of sensors may increase significantly. To deal with the problem of battery depletion, UF Engineers have developed a new type of sensor that creates its own electricity, extending battery life of automobiles. Dr. Jennifer Andrew, Associate Professor in the Department of Materials Science & Engineering at the University of Florida’s Herbert Wertheim College of Engineering, and her team have tackled the challenge of making sensors ever smaller in size and energy consumption. Working with Dr. David Arnold, the George Kirkland Engineering Leadership Professor in the Department of Electrical & Computer Engineering, they have engineered a composite magneto-electric nano-wire array sensor that monitors automobile operations through electrical impulses generated by changing properties of the nano-wire itself. The sensor requires no external electric current at all to operate. Each nanowire is made up of two halves – barium titanate, which exhibits piezoelectric properties, is paired with cobalt ferrite, a magnetostrictive material. In the presence of a magnetic field, such as the one present in the steel gears in a car engine, the cobalt ferrite undergoes a shape change, which imparts a strain to the piezoelectric barium titanate, thereby inducing an electrical polarization. By connecting the nano-wire array to a data-gathering source, the electrical impulses generated by the magneto-electric can be used to sense the engine timing or detect a skid by the wheel speed. Functional magnetic field sensors are formed by connecting many nanowires in parallel. Dr. Andrew’s group reported that their nano-wires showed significantly stronger magneto-electric coefficients (indicating stronger electrical impulses were generated) than traditional magneto-electric material. These stronger electrical impulses mean that additional improvements to Dr. Andrew’s device could result in even smaller sensors. The fact that the sensors use no external electrical energy source adds to their appeal for use in driver-attended and autonomous electrical vehicles. Left: Successful assembly of barium titanate nanofibers in water, post barium carbonate removal with a dilute HCl wash and suspension using citric acid and adjusting the pH to around 9, at 5 kHz and 20 Vpp. Right: Schematic of the rotating magnetoelectric measurement setup, where the angle of the array with respect to the applied magnetic field can be adjusted to explore the effects of induction on the measured magnetoelectric coefficient. The UF Office of Technology and Licensing (OTL) has obtained a provisional patent on the technology and has filed for a U.S. utility patent. Allegro Microsystems, a global leader in power and sensing semiconductor solutions, has licensed the patent for the device because the technology highly aligns with their vision of moving the world toward a safer and more sustainable future. Allegro has also become one of the first industrial partners of the Multi-functional Integrated System Technology (MIST) Center, a National Science Foundation Industry/University Cooperative Research Center (I/UCRC) led by the University of Florida, which funded the team’s work. The research results from Dr. Andrew’s work have been published in the December issue of Nature’s on-line publication Microsystems and Nanoengineering. Energy is all around us. Magnetic energy. Electrical energy. Heat energy. Light energy. The kinetic energy of wind and water. When we change energy from one form to another, we can direct it to light up our surroundings, transport us from one place to another, keep us warm/cool, etc., making our lives better and easier. The electrical energy we use every day is generated by magnetic energy. The process begins with primary energy sources such as coal, natural gas, oil, nuclear power, water, wind and sunlight. These sources release heat energy or the kinetic energy of movement (water and wind) that spins a giant turbine in a power-generating plant. Copper wire coils attached to the turbine shaft spin between huge magnets that charge particles within the wire to create electricity. Electrical energy can be converted to heat or light by running a stream of electrical charges along a resistant wire, across a wire filament that emits light particles, or through certain inert gases (neon lights). 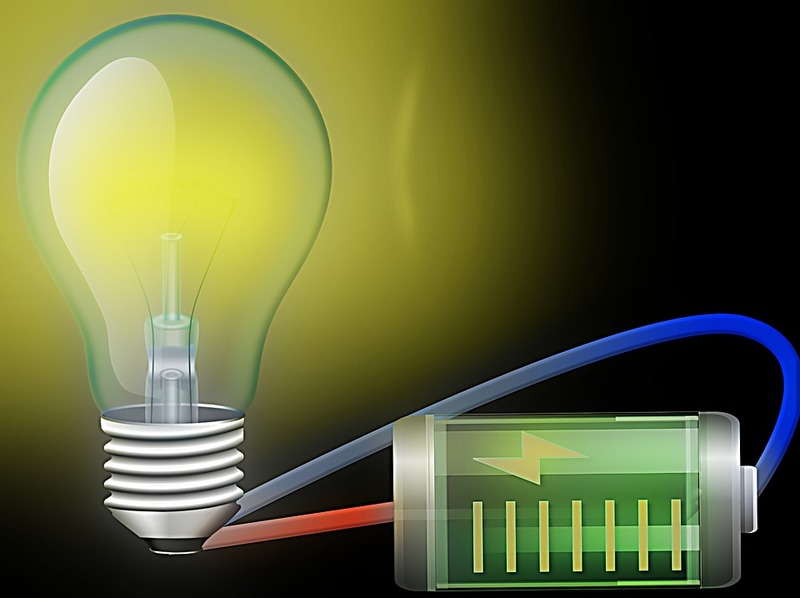 Electrical energy can also be stored in batteries for later use.